Routine eye exams are essential to preserve your vision and safeguard your eye health. Vision insurance and vision benefits plans can make routine eye care more affordable, especially if you are among the majority of Americans who wear prescription eyeglasses or contact lenses. You can subscribe to a vision plan that offers eye care and eyewear benefits either through your employer or directly from an insurance or vision benefits company. Also, if you are a small business owner and are looking for an affordable way to attract and retain good employees, you might want to consider adding vision coverage to your employee benefits package. Vision insurance plans offer either a vision benefits package or discounts on eye care and eyewear. A vision benefits package that covers services such as eye exams may require a co-payment from you at the time of service, with the balance to be paid by your plan. In a vision discount plan, you pay fully for services but at a lower-than-normal price that the plan's participating eye care practitioners have agreed to charge members. 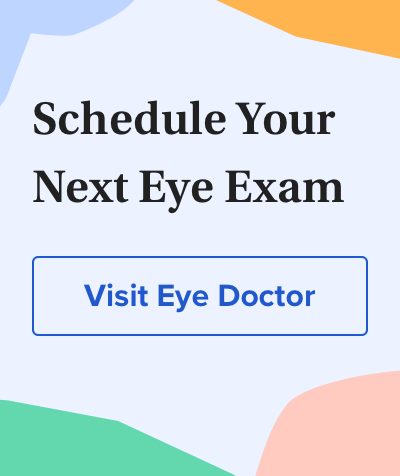 Access to a network of eye care providers who have agreed to provide services and/or products at reduced prices (either to you or to the company administering the plan). These providers typically are optometrists and general ophthalmologists. In some cases, ophthalmologists who are refractive surgeons and provide LASIK and other vision correction procedures may be included. Specific eye care services and products, such as eye exams, eyeglasses and contact lenses. Therefore, when choosing a vision insurance plan, you need to evaluate both the eye care provider network and the services being offered. To evaluate vision benefits packages and vision discount plans, first estimate your present and future eye care needs. Begin by reviewing one or two years in your personal records to find out what kinds of eye care services you and your family members have used in the past and how many times these services were used by each family member. This information will give you an idea of what your future needs will be. To assist you in this analysis, also read about eye exam costs and when to have an eye exam. Which vision plan provides services and products that meet my needs best? Which vision plan will save me the most money? Does the plan have quality assurance mechanisms and easy-to-follow grievance procedures? Basic services typically include an eye examination with dilation, an eyeglass frame, a pair of eyeglass lenses and, in some cases, contact lenses. Refractive surgery, such as LASIK and PRK, also might be included. Ask your optician about the benefits of each of these products to get the most out of your vision insurance or benefits plan. Even if one of these items is not covered by your plan and you have to pay for it out-of-pocket, the other components of your glasses that are covered may result in a significant discount of the entire cost of your eyeglasses. When analyzing the services offered by a variety of vision plans, use our Vision Plans - Benefits Comparisonand Vision Plans - Price Comparison) worksheets. The worksheets will give you a side-by-side comparison of up to three vision plans to help you decide which plan best meets your needs and budget. *PDFs require the Adobe Reader plugin. Most browsers have it. If your browser doesn't have it, or if you'd like to update your version of Adobe Reader, please click here to visit the Adobe website and install it.